We have recently hand built a 1969 Topps Baseball Complete Master Set. This set consists of 702 cards, whereas the complete set has 664 Cards. There are 38 variation cards in the master set. 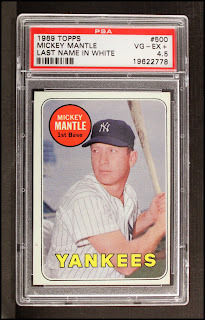 This set also contains the last card for Mickey Mantle during his playing days. This particular set features multiple rookie and star cards. When this set was first introduced it was issued in 7 series. These cards were sold in wax packs, rack packs and cello packs. The Fronts of these cards are surrounded by a white boarder. The front has the players name and position written in a circle that is placed on the upper right hand side. The pink backs are laid out horizontally and feature a biography, stats and a cartoon pictured. The most famous and toughest variations to find in this set are the White Variations. For it to be a white variation the first and last name must both be in white lettering. In the non-master set you will find the last name on the card to be in yellow. It is said that these variations were made due to an ink problem during the printing process. The variation cards that are the hardest to find are the most famous. 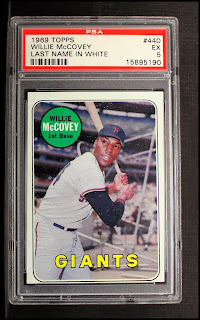 These cards are #440 Willie McCovey, #440 Gaylord Perry and #500 Mickey Mantle. 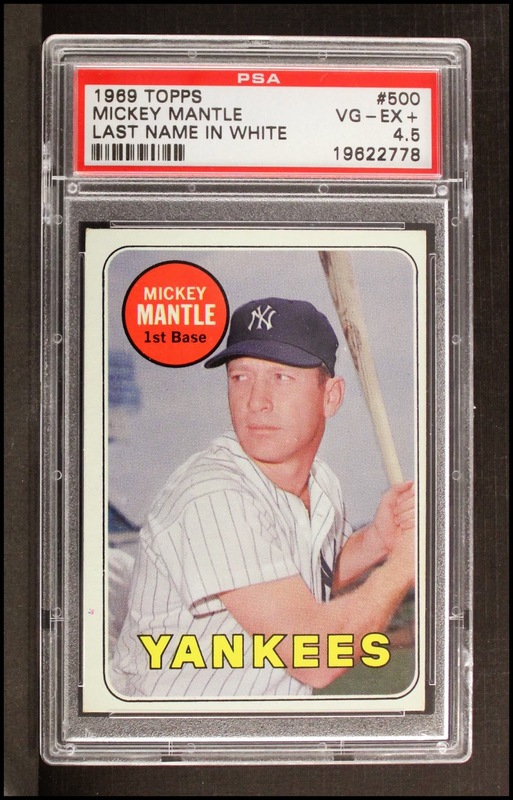 The Mickey Mantle card is the most expensive variation card in the series. Since the Variation cards are so hard to find, it is very hard to build a Master Set. With our inventory of over 1 million cards we were able to put together a Near Mint Plus (7.5) Set. This is a one of a kind set that you are not going to find anywhere else. If you have any questions about this set, or if you are interested in any custom built vintage set please contact us. Here is a breakdown of this rare set.